As more consumers demand more convenient and efficient services, data is becoming more of an integral aspect in the QSR industry, particularly for third-party food aggregators and online delivery platforms. Menulog, which hosts more than 12,000 restaurant partners on its delivery platform, is looking at more optimal uses of data as part of its core growth strategy for 2019, seeking “not only to enhance the customer experience and drive more orders for restaurants, but also to help provide greater insights for restaurants to help them optimise their operations”. In an exclusive interview with QSR Media, Menulog said that by improving its data collection and analysis programs, the company can generate more value for its partner restaurants by providing insight reports that can help them improve their businesses. “We are ramping up our insights program, which provides restaurants with hyper-local data that not only looks at their individual restaurant performance, but also at local trends that can help inform business decisions,” Menulog ANZ managing director Alistair Venn said. The push for more relevant consumer insight is a continuation of Menulog’s earlier initiative to leverage its database of over 3 million active customers across Australia to create value for its partner restaurants. In 2018, the company launched Menulog Orderpads, in-store online ordering technology which allowed restaurants to access data such as order information, popular meals by location, or peak ordering times, to identify trends that can assist with staff optimisation and yield management. The Menulog Orderpads aimed to offer partners a suite of new tools that both provide improved customer experience and help streamline kitchen operations. “This year, we will continue to expand the roll out of Menulog Orderpads, as well as adding increased functionality and tools to the device. This includes a number of self-service tools for restaurants, to save them time in managing their online business with Menulog,” Venn said. More accurate data analyses and machine learning algorithms also provide the benefit of giving consumers on the other end with a more personalised and more streamlined platform that tailors to their particular needs and cravings. Research from industry market experts IBISWorld found that as Australians are increasingly leading busy lives due to work and family commitments, more are requiring convenient and hassle-free options for their meals. This ongoing demand for quick and convenient food options is predicted to bolster the revenues of platforms like Menulog over the coming years, rising at an annualised 72% from 2014 to 2019, to reach $278.1 million. Menulog, as part of the global online food delivery giant Just Eat, is well-positioned to take advantage of this demand. In 2018, the company transitioned to the global Just Eat technology platform, which upgraded in its customer experience with new native apps and a range of new features, such as ETAs, order tracking and improved search and filter functionality, making for an easier and more convenient online ordering experience. The new apps and Menulog website also expanded the platform’s options for its restaurant partners with the inclusion for restaurant imagery, new types of specials and address validation using Google Places to ensure seamless delivery. 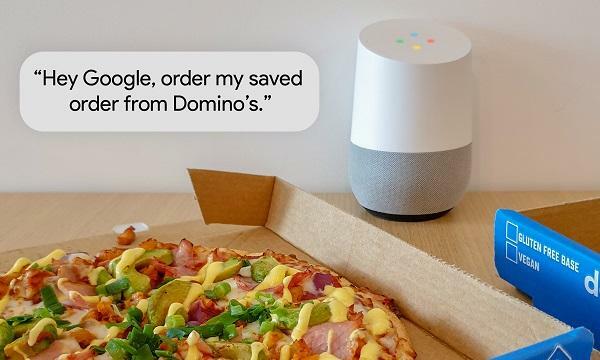 Moreover, Just Eat has integrations with the likes of Amazon Alexa and XBox, which provides its restaurant partners with more channels to reach customers conveniently in addition to mobile devices. Currently, around three-quarters of Menulog orders are placed on mobiles. “When looking to our global network, there are a number of new technologies we’re looking to leverage for the Australian market. 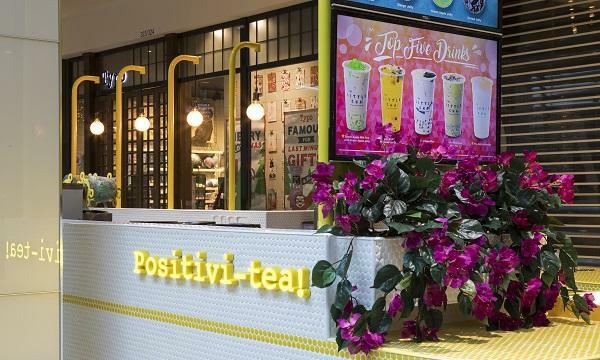 Again, the focus of these is a more personalised experience for customers and helping restaurants meet customers wherever they may be,” Venn said. Also launched in 2018, the Menulog Delivery Service is a service aimed at providing delivery solutions for restaurants without their own drivers. In addition to the platform’s self-delivery marketplace, the service adds a complementary offer for restaurants, and has allowed Menulog to integrate with some of Australia’s largest national brands, including Hungry Jack’s, KFC, Oporto and more. 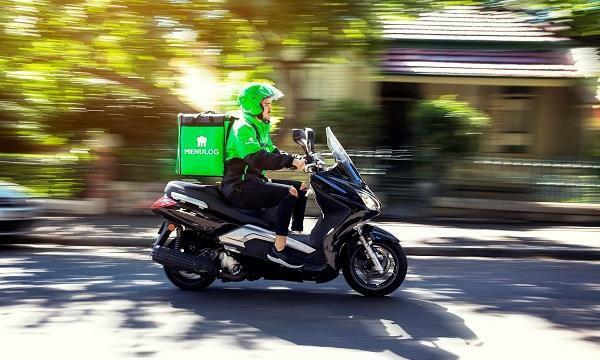 The Menulog Delivery Service is now live in Sydney, Melbourne, Brisbane, Adelaide, Perth and Canberra and will continue to expand in 2019. Venn said that they will be developing the service with Menulog’s Canadian sister-company, SkipTheDishes, with the objective of bringing greater value to even more QSR brands and franchisees across Australia, connecting them with more customers through the power and scale of online. “As our business expands at scale, our top priority is to provide value to our network of restaurant partners and customers. For restaurants, this value is incremental online orders that help drive profitable growth for our partners’ businesses,” Venn said. For Menulog, the key will revolve around innovation and agility. As technology continues to evolve at a rapid pace, digital platforms must remain at the forefront of consumer trends to be able to adapt to the changing needs of their partners and customers. “Menulog will continue to use technology to transform food delivery and improve processes for its restaurant partners, seamlessly connecting them with their customers to drive more orders through an even better consumer experience. As Menulog continues to grow from strength to strength, Australian restaurants and customers will benefit from the expansion of its online marketplace, supporting local brick and mortar businesses,” Venn said.